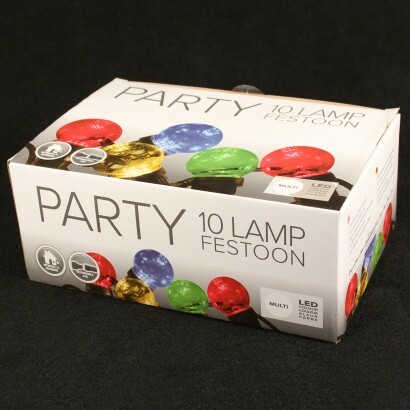 Enjoy colourful party lighting in your home and garden with multi coloured festoon lights. 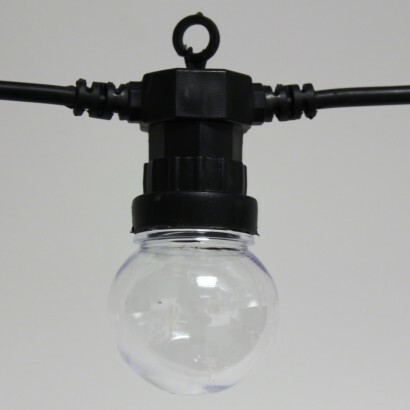 Each five metre run of lights features ten clear cap bulbs each lit by five coloured LEDs for a fantastic carnival feel. 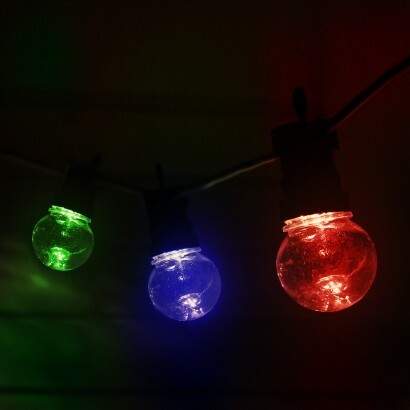 Ideal for parties, for summer evenings, BBQs and more, these colourful party lights feature red, green, blue and yellow LEDs that shine through the clear caps for crisp colour. Connect up to one hundred bulbs from one transformer for lengthy runs of up to fifty metres of colourful lighting transforming your space with a cheerful glow. 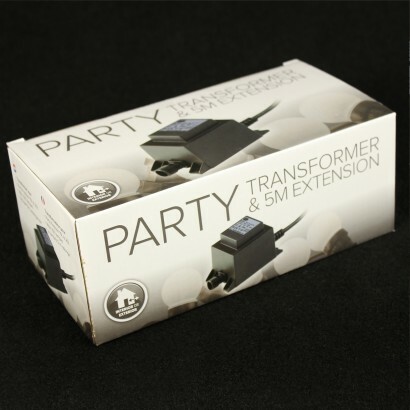 Transformer for use with festoon lighting. 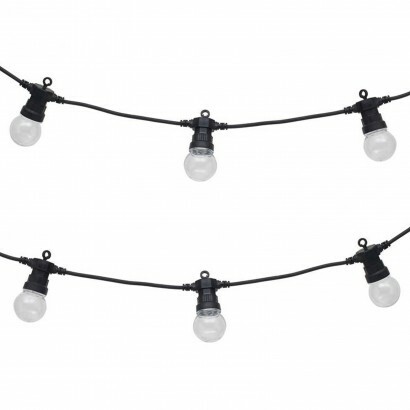 Connect up to 100 bulbs and supply power from just one single transformer (lights sold separately). Suitable for both indoor and outdoor use.